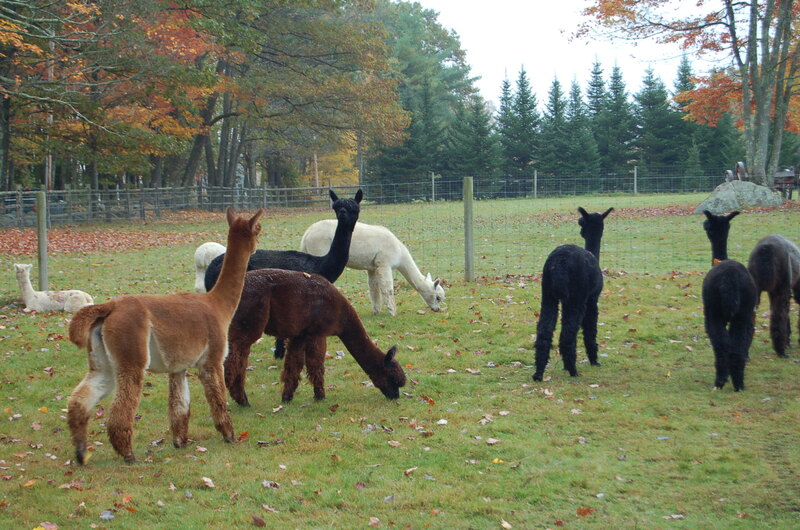 Baa Baa Black Alpaca Have You Any Wool? 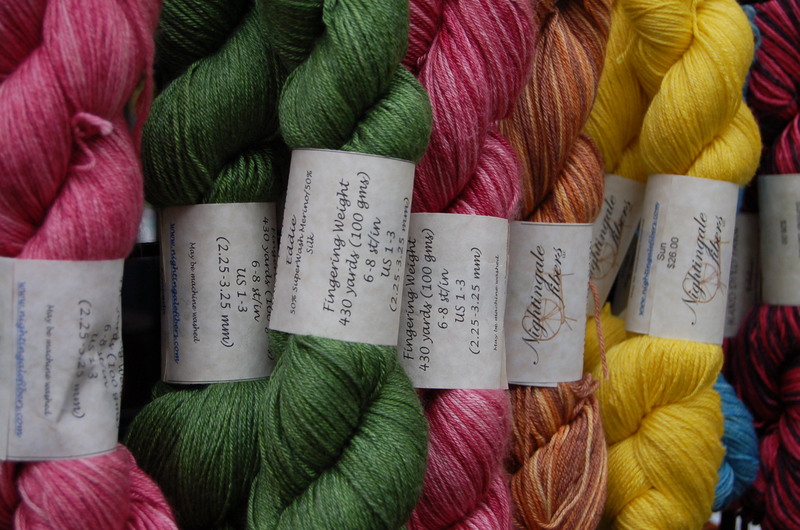 On Saturday I set out early to visit the first site on the 30th New Hampshire Wool Arts Tour. 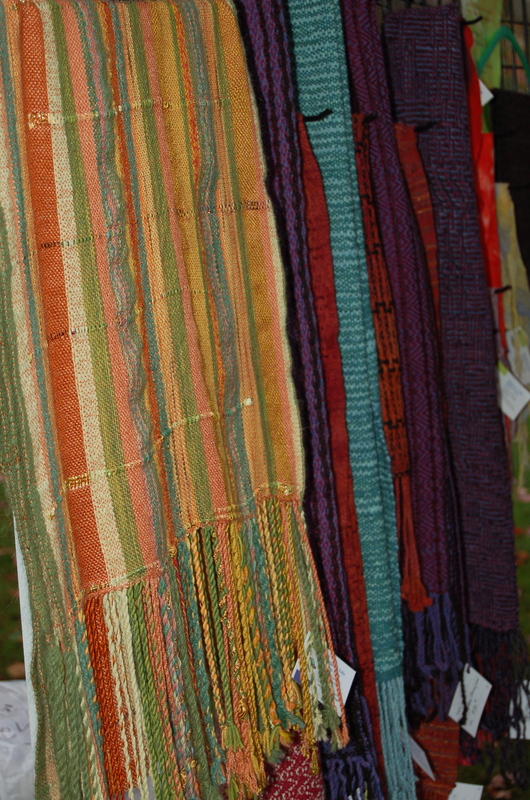 Since 1983, farms and studios across the Monadnock Region have opened their doors and hosted open houses complete with demonstrations and sales of fiber products. Greenfield, NH is the site of Spring Pond Farm. I met Deb and Ray Cilley, the owners, during my beekeeping classes when they hosted a session. The farm is at the end of a dirt road, surrounded by emerald-green fields and glorious foliage. 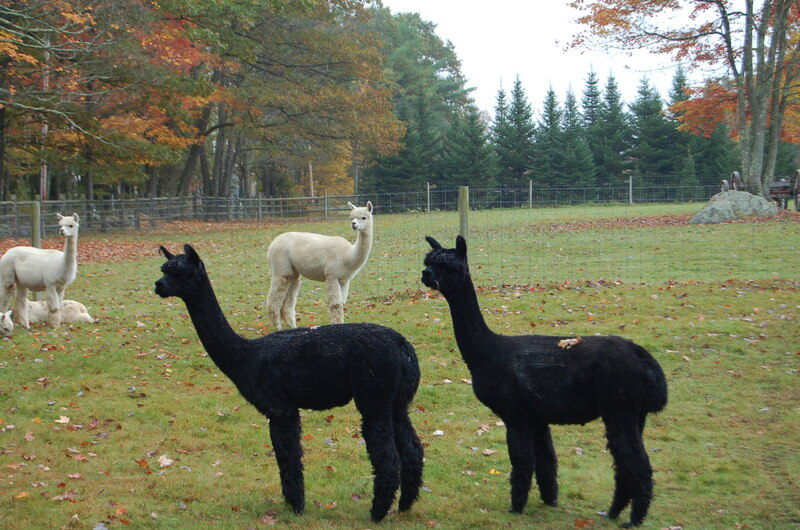 Besides bees, they raise Huacaya Alpacas. These animals are the closest I have ever seen to a perfect Disney creation. They seem to be assembled from an odd assortment of spare parts, (I like to say the same thing about Moose) and are silent, curious creatures. They walk on softly padded hooves and make strange sounds deep in their long throats; all the while gazing at you from beneath their shaggy pompadours. Deb was working with two young males. Next week they head to their first show, and she wants them desensitized to crowds and noise. I was hoping for a perfect shot of the infamous “Pushmi Pullyu” of Doctor Doolittle fame. This was as close as I got, because I was laughing hysterically at this point. 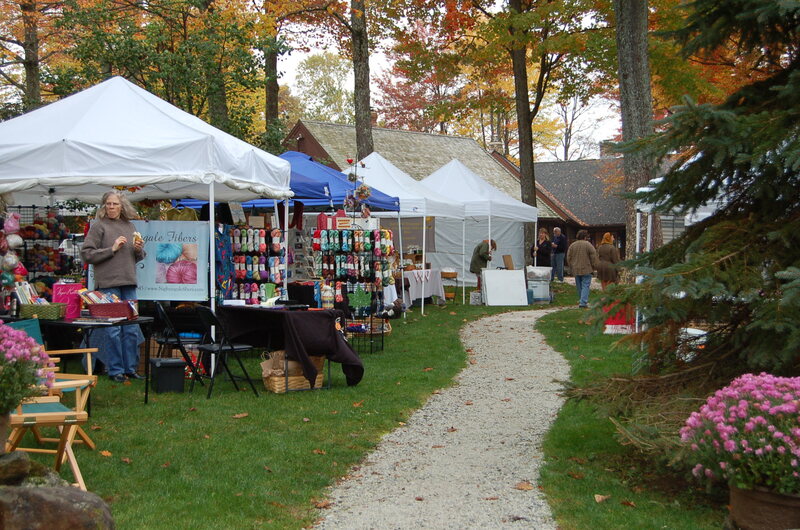 In addition the animals, various vendors huddled under tents along the path. The rain had stopped but it was chilly. I thought back to my childhood when my mom shipped the wool from our sheep to be cleaned and spun. She always left it the natural color and knitted awkward, bulky sweaters and mittens for us. I loved the skin-softening lanolin from the natural yarn but hated smelling like a wet sheep when it rained. I wish I knew how to knit, crochet, weave or spin. 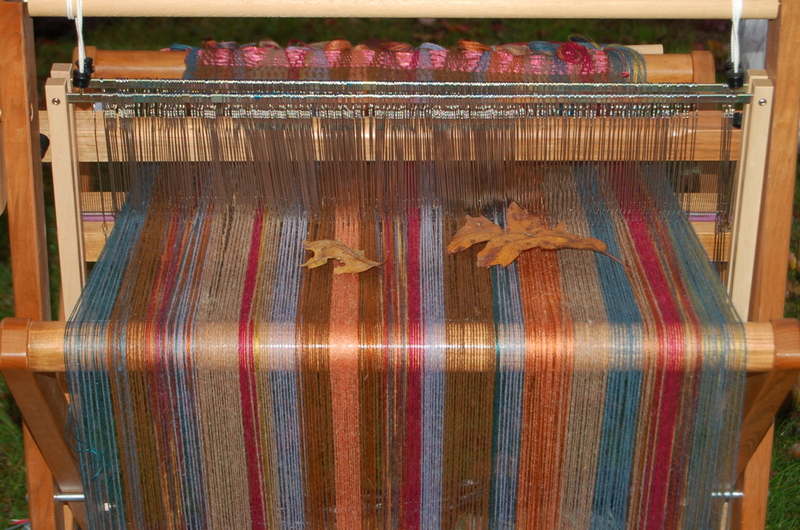 The feel of the fiber, from cloud-like fleece to finished sweater, scarf or blanket was calming. Even patting the Alpacas; the loft of their wool was baby-blanket soft. And the colors? Like ice cream in July. Terrapin Glassblowing Studio was along the path. I hoped to see them and recount an interesting anecdote. Last week when I posted about the upcoming festival, a friend in South Carolina clicked the link and found Terrapin. She told she bought a beautiful glass flower. I was hoping to meet Dominique to connect and share the story. It was a really busy weekend for Terrapin. Not only was her mom working the Wool Tour with a booth, Dominique was back at the studio as part of the annual artists studio tour. 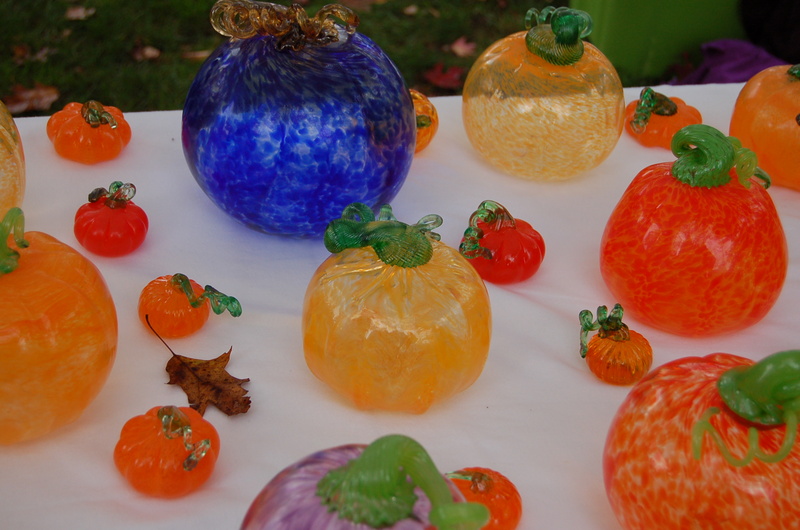 Their display of glass art was truly breathtaking. It was only 10am as I wandered back through the paths to my truck but the cool weather and the early start made passing up Nori Oh’s pastries impossible. 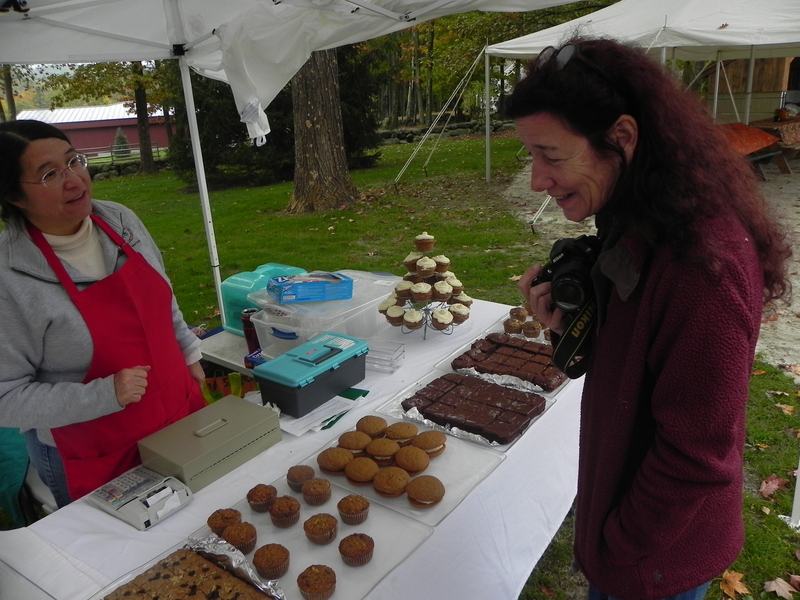 Mini pumpkin woopie pies, carrot cake bites and sinful chocolate creations beckoned. This entry was posted in Culture. 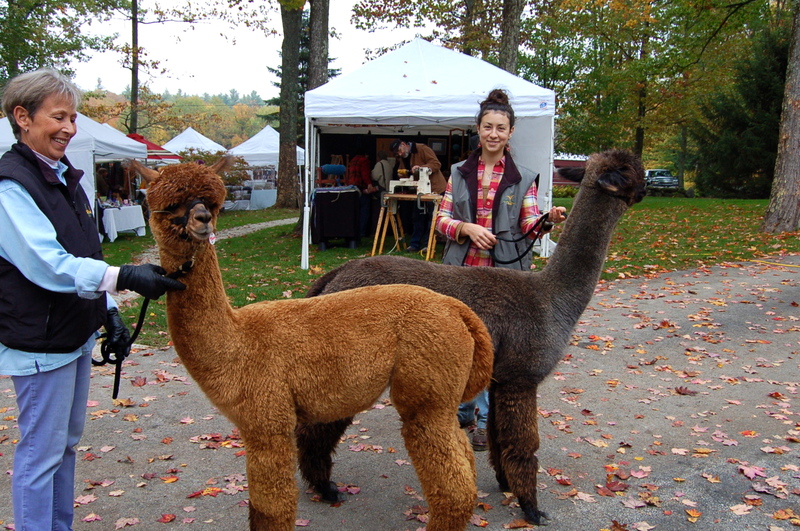 Tagged Alpaca, fiber arts, NH Wool Arts, Spring Pond Farm, Terrapin Glassblowing, wool. Again, wish I were there!!! Can’t wait to get my glass flower! Surprised you didn’t pack one of the alpacas into the truck!!! It would have been hard to resist! Very hard to resist! I think they might have noticed though, had I tried to take one. Neat animals, fun day. I love alpacas! Your description of them is perfect. I wonder if that is the same farm I came across when I toured Greenfield, I find myself on a lot of dead end dirt roads, haha. Great photos for a great story! Thanks Laura. I almost stole one but worried about where I would put it once I got it home! Beautiful autumn colors! Have you ever read the Kelly Flynn mysteries by Maggie Sefton? They revolve around a community of knitters. And some of them are alpaca owners. They are good fun to read. Hi! I have not but will definitely look it up. Thanks!